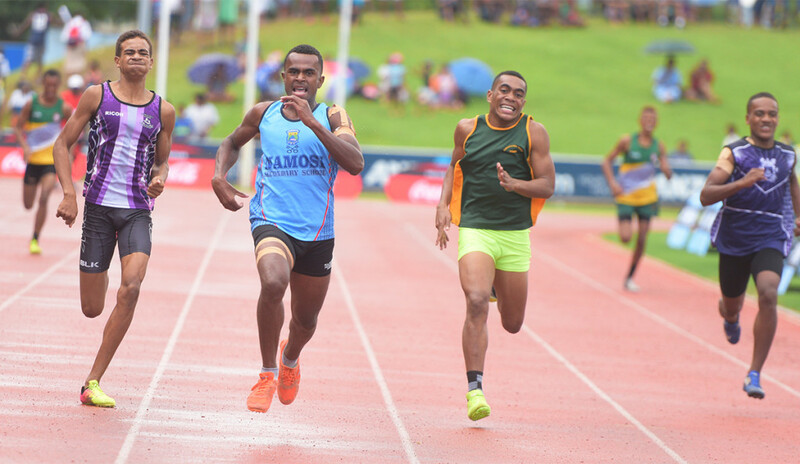 Pio Raua (third from left) of Namosi Secondary in full flight during 400 meters inter boys final of Suva zone 1 at ANZ Stadium on March 29. 2019. Photo: Ronald Kumar. 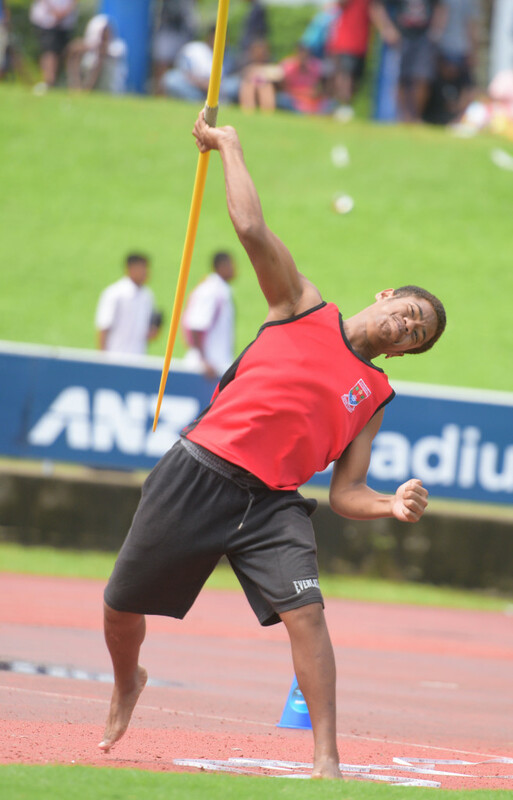 Tengata Betaia of DAV College during junior boys javelin final of Suva zone 1 senior boys at ANZ Stadium on March 29. 2019. Photo: Ronald Kumar. 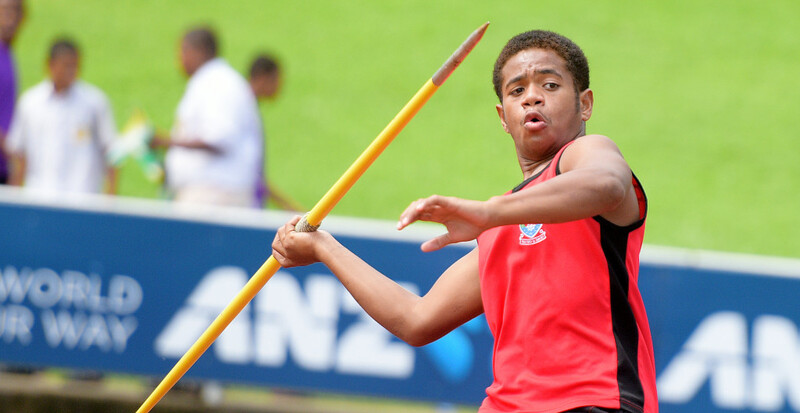 Aisake Batikara of Sacred Heart Cathedral College during junior boys javelin final of Suva zone 1 at ANZ Stadium on March 29. 2019. 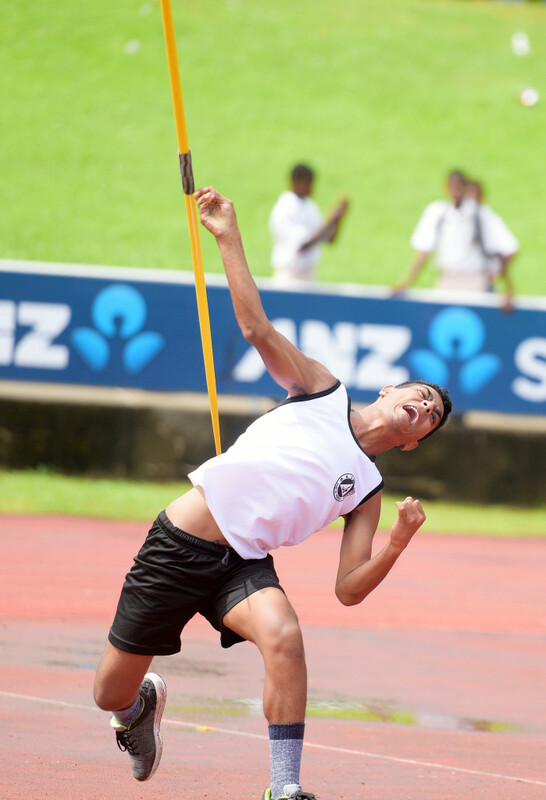 Photo: Ronald Kumar.